Conny Loest was just a young girl, only 15 years old, when she bought her first bobtail and registered her kennel in 1971. She attended her first dog show in Neumünster/Germany in 1972 and since then has been showing at a high level. She had her first litter in 1973 and ever since has had between 2 to 3 litters per year. Conny has always used many different stud dogs and has sold puppies around the world. She still enjoys breeding however does not show quite as much as before; previuosly she would attend 35 to 40 shows per year, now she does a maximum of 15 shows per year because of the long distance driving. 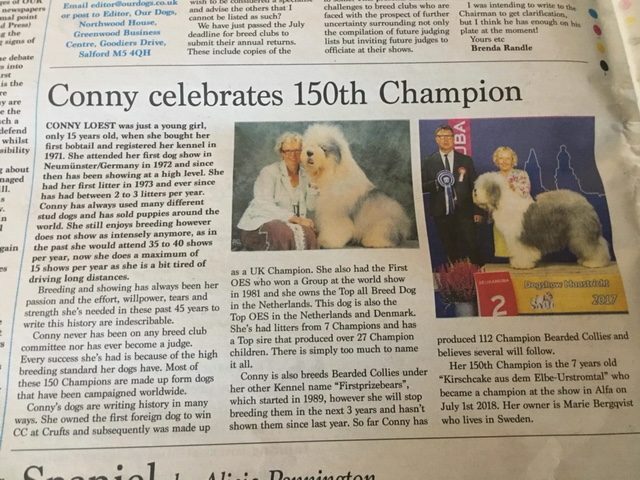 Breeding and showing has always been her passion and the effort, willpower, tears and strength she’s needed in these past 45 years to write this history is, as most dog people would understand, indescribable. Conny has never been on a breed club committee nor become a judge. Every success she’s had is because of the high breeding standard her dogs have. Most of these 150 Champions are made up from dogs that have been campaigned worldwide. 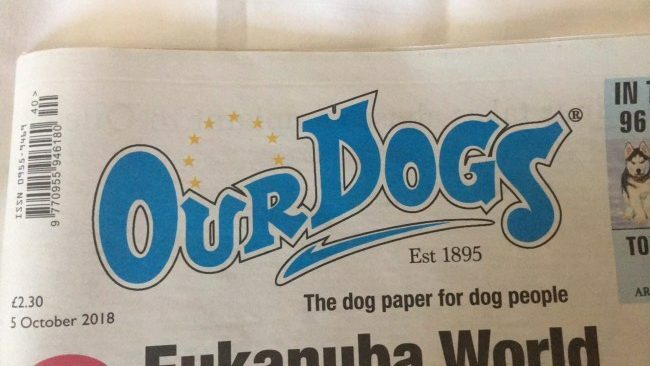 Conny’s dogs are writing history in many ways. She owned the first foreign dog to win a CC at Crufts and subsequently was made up as a UK Champion. She also had the First OES who won a Group at the world show in 1981 and she owns the Top all Breed Dog in the Netherlands. This dog is also the top OES in the Netherlands and Denmark. She’s had litters from 7 Champions and has a Top sire that produced over 27 Champion children. There is simply too much to name it all! Conny also breeds Bearded Collies under her other Kennel name “Firstprizebears”, which started in 1989; however she will stop breeding them in the next 3 years and hasn’t shown them since last year. 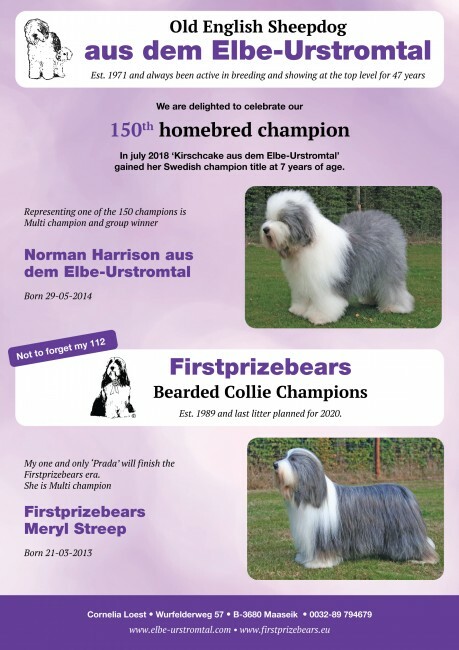 So far Conny has produced 112 Champion Bearded Collies and believes several will follow.Her 150th Champion is the 7 years old “Kirschcake aus dem Elbe-Urstromtal” who became a champion at the show in Alfa on July 1st 2018. Her owner is Marie Bergqvist who lives in Sweden. Congratulations on a great career to Conny and her dogs!